NF - Now resist @ 5316 and after that next resist at 5242-5246. If trade below 5280, then come down to 5252 & 5218. Once agian reminder : Close below 5288, current uptrend terminate. 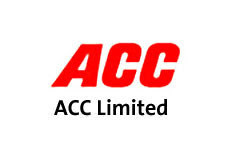 ACC - As per earlier post, it took support at 940 (did't break 930 also) and yesterday after reaching the target of 987, it closed at 965. Now what next? If take support at 960-950, then once again going to attack 985-992 or even 1008. 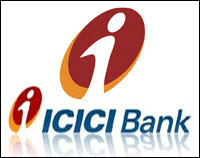 ICICIBANK - As per earlier post, above 970, it touched exactly 1010 and from there, correction started, now what next ? On going correction may end between 945 or maximum 933. now intraday resist at 970-974. MANINFRA - If resist at 377, then come down to 360 after that 352. MPHASIS - As per earlier post, already took support at 614 and now reached the resistance of 660 also. Now what next ? If able to sustain and trade above 660 then next attack 684-689 minor resist @ 675 Otherwise come down to 643 & 634. RELINFRA - It seems topped out at 1125, break and trade below 1084, come down to 1050 & 1023. Intra day upside resist @ 1116 & downside support @ 1068. RIIL - as expected touched exactly 922 and closed at 898, now what next ? hereafter support 890 & 870. but once break 932 going to attack 982 & 1024.